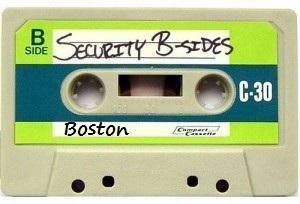 EFF is proud to support Security BSides Boston! The second BSidesBOS will be aimed at bringing all kinds of new content to educate and have the audience gain insights to all of the information from the different tracks below. BSidesBOS is looking to promote information security to the audience and this is designed for both new, seasoned information security professionals and techies! Launched in mid-2009, Security BSides is a community-driven framework for building events for and by information security community members. The goal is to expand the spectrum of conversation beyond the traditional confines of space and time. It creates opportunities for individuals to both present and participate in an intimate atmosphere that encourages collaboration. It is an intense event with discussions, demos, and interaction from participants. It is where conversations for the next-big-thing are happening. Additional donations go to the Electronic Frontier Foundation (EFF) and donations will also be accepted on-site.